Those two guys on the right are totally checking out the second guys package. Sad thing is, our local gym has a ton of these. As you can imagine, they’re not very popular. 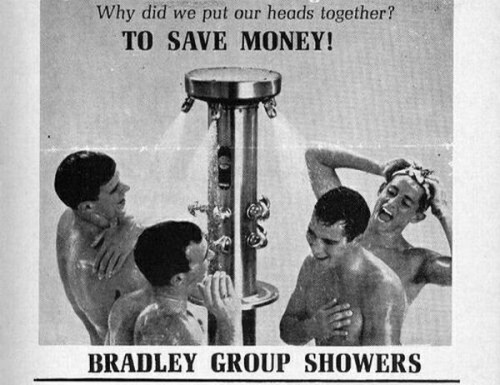 I can recall being incredibly disappointed and upset in highschool when I found out that the girls did not have to use Bradley Group Showers. I originally thought this was Casemods’ picture. diabeetus, caio, kidrythim, and casemods.